For mobile phone users, the SIM card is one of those essential requirements that you simply need to have. What exactly is a SIM card? It stands for Subscriber Identity Module and it is tied to your carrier and number. You can also think of a SIM card as a thumb drive for your phone. In addition to the storage that's already on the phone itself, the SIM card allows for extra space, so you can save your contacts and your text messages. This makes it easy to change phones by slotting your SIM card in and, regardless of the handset, the service is linked to your SIM. The best thing about SIM cards is the fact that they are interchangeable – you can use one SIM card in one phone and then switch it to another phone (as long as the phone is unlocked). This is especially great for users who travel outside of the country, where the cellular frequencies are different. They can take their usual handset but switch in a local SIM card to avoid massive roaming charges. Every once in a while users may come across issues where their SIM card isn't recognized or shows that it's not even in the phone. Here, we'll take a look at the reasons a BlackBerry smartphone would have an invalid SIM card message, what they mean, and how you can get around them. So why does a SIM card start to have issues? There are actually several reasons why a BlackBerry may not be able to recognize a SIM card. Often, this is because the card itself isn't seated properly or perhaps the card is corrupted. Maybe it just needs to be cleaned. Here are some reasons why SIM cards may not be working and information on how you can fix the issues. On some cell and smartphones, there may be an icon within the notification bar that tells you when you have your SIM card installed, however, some phones may not have this. 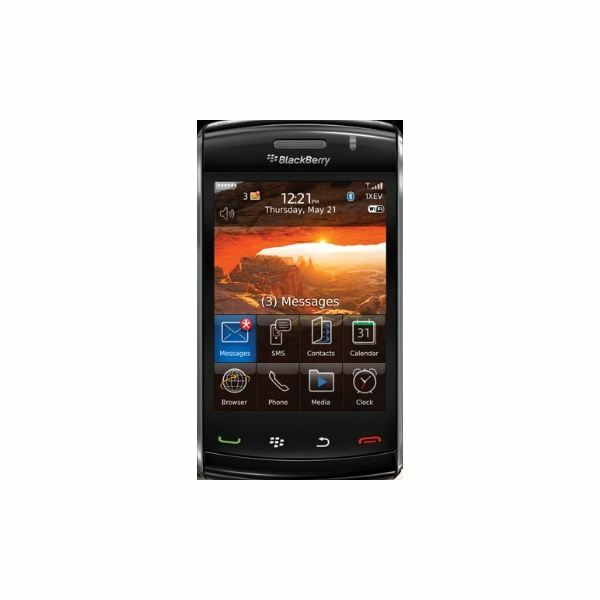 Newer BlackBerry models may not have an icon to indicate there is a SIM card installed. Instead this may be listed under an SD card or storage area, where you can learn about how much room you have on your phone. When you receive a message that the SIM card is not installed, but yet you have a SIM card within your BlackBerry, the simplest thing is to remove your SIM card and then replace it back within its slot. Sometimes the card can become unseated, especially if you have a BlackBerry where access to the card is on the side of the phone instead of under the battery case. Make sure you are firm in pushing the card back in, but aren't forcing it into the slot. With some phones you may be able to hear a click when the SIM card is in place, but most likely making sure that the card is secure will alert you that it is in properly. Many of us may not need to know how to clean a SIM card, but for others this might be a necessity. People who travel out of the country frequently, either for professional or personal reasons, may often find themselves switching their SIM cards in and out of cell or smartphones. This is because the cellular frequencies in America are different from those in Europe and Asia. If someone travels frequently, they may be removing and installing the SIM card several times. This can cause oils and dust from their fingers or hands to build up on the card, so these things can make reading it difficult when it is placed back within a BlackBerry. Cleaning a SIM card is easy, though you will need to get the proper tools to do so. All it takes is a white vinyl eraser and a gold guard pen. These items are usually used in the cleaning or maintenance of electronics, especially the gold guard pen which is used for gold materials and circuitry. Both can be found online in retail stores like Amazon for between $1 and $15. You might be able to find these in local stores as well. The best place to check is a local computer repair or parts store. Sometimes a SIM card is just bad. Either it was that way when shipped to the store from the manufacturer or over time it has become corrupted. What does this mean? It means that the SIM card is faulty and the easiest way to replace it is to go and purchase another one. This, of course, is a last resort method and should be brought to the attention of your cell provider, as they can determine if it is the card itself or the circuitry of the phone. They are also able to, hopefully, transfer any contacts or text messages from the card to your new SIM so as to minimize disruption to you.